An education tool for your kids. An educational tool for you and your friends and essential for every coffee table. 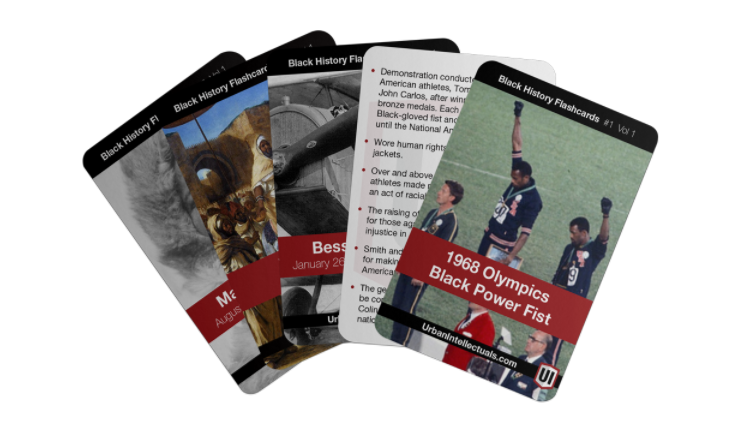 The Odyssey Project is proud to partner with Urban Intellectuals to present their first volume of Black History Flash Cards, designed to combat the miseducation and suppression of Black achievements around the globe. 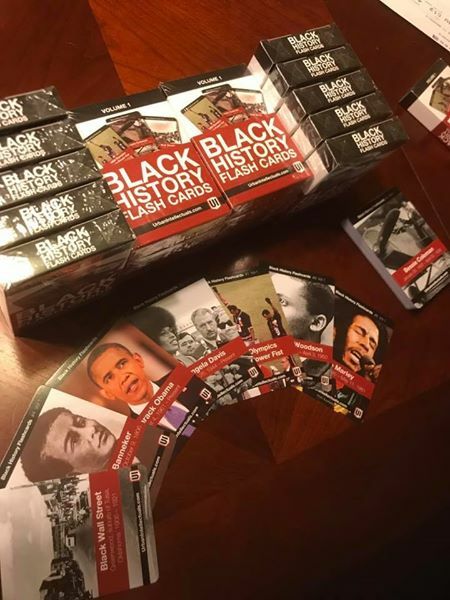 This 52-card series gives a strong foundation of the many untold stories and unknown figures that have given shape, color, and definition to the worlds of academia, science, civil rights, education, the arts, and more. 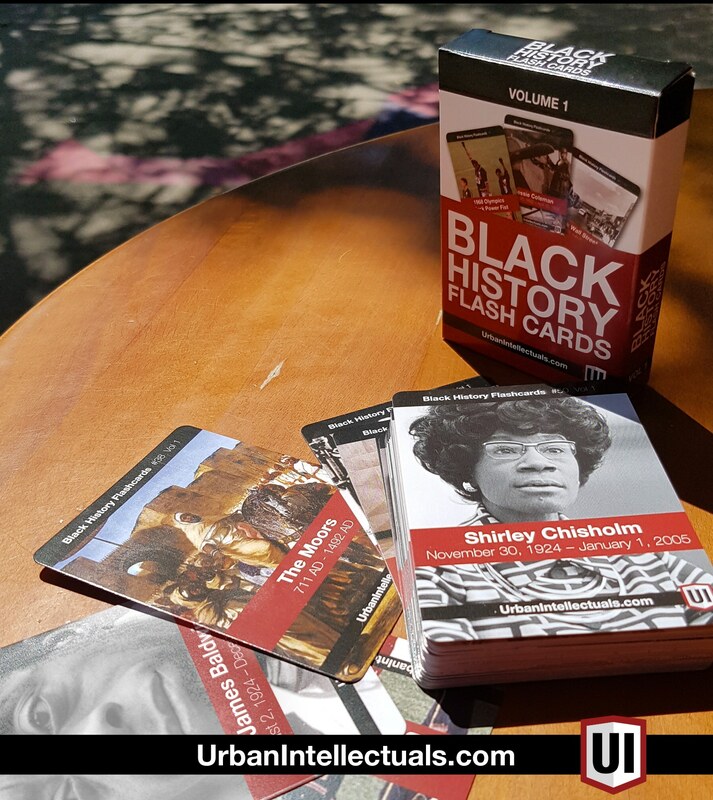 Enjoy learning about the revolutionary contributions of Blacks. Take pleasure in sharing all that you learn with friends, educators, and most importantly, our youth. 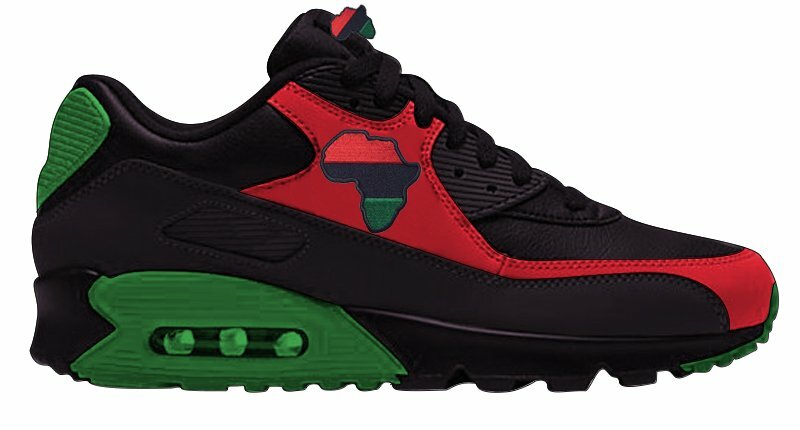 It is imperative that they understand Black history, become inspired, and take action to build their own greatness! If you already have volume one, here an opportunity to order volume 2 now!